SpaceX The Sky’s Not Falling …It’s Just a Rocket Launch!!! 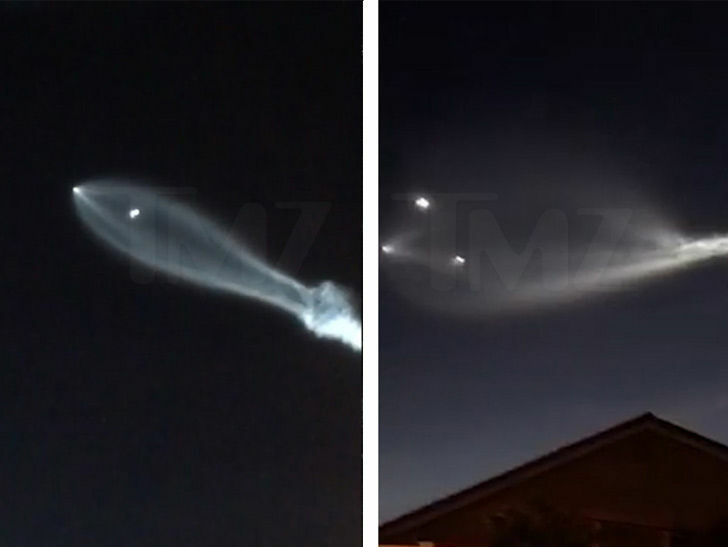 It’s a bird … it’s a plane … it’s a weird glowing cloud in the sky — compliments of SpaceX!!! Elon Musk‘s aerospace company kicked off its final mission of 2017 Friday night by launching a rocket into the sky over Southern California from the Vandenberg Air Force Base. Here at TMZ … we were flooded with calls from California and Arizona residents asking if we were under attack or if aliens were visiting, and reporting that traffic was getting jammed by people pulling over to watch the show. Now you all know … it was just a rocket, man.